Booster Pads are designed to be used with an All-In-One or Pull Up product to add extra absorbency. Great when travelling, whilst sleeping or when reducing the amount of changes of expensive All-In-Ones and Pull Ups. Booster pads give the confidence of extra absorbency at a low cost. 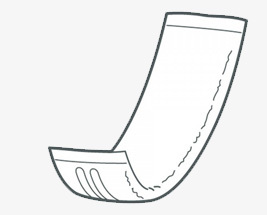 Booster pads do not have a waterproof backing making them unsuitable for use in stretch pants, pouch pants or regular underwear.